Awesome course designed by Simplilearn team. It really helped me a lot in terms of execution and implementing the quality initiatives and strategies in operations. 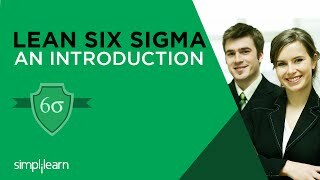 The course on Six Sigma was quite informative. It was a very good experience. Excellent Course explained in a short and concise manner. Strongly recommended! Very useful course. Almost all topics are given in detail for gaining good knowledge over practicing. The trainer is very talented with years of experience in training six sigma and its practical applications. This course has helped me to develop statistical thinking and practical six sigma methods into real-life scenarios. Training content with practical examples and methodologies. Thank you Simplilearn. Excellent 3-days training, well-executed on concepts related to Six Sigma. The course content was good. Also the presentation was effective and helpful. Fabulous training; trainer has external knowledge on the subject. Also, the course content was effective. Course helped me to plan the learned concepts into development following some methodology in my company. The training was really helpful. The real-life examples cited during the training was really helpful for understanding the concepts in-detail. I have attended SSGB training in Feb. It started very smoothly. Trainer was very experienced & training had a good mixture of learning activities. The syllabus was excellently delivered. Each example was explained clearly. All concepts were understood practically. The hands-on practical training sessions were very good. I must say that I am capable enough to implement the Six Sigma in my organization after this training. Excellent training. Gained a lot of knowledge and was able to connect to the daily work related operations. I will definitely be able to improve and implement the knowledge that I gained here. Great faculty. Sessions were very interactive; I found it helpful and could relate it to my current project as well.